We Discuss With Our Special Guest Magnus Unemyr Marketing Automation & Machine Learning Connected to Promoting Your WordPress Powered Course in 2018! In this episode, we discuss marketing automation and machine learning connected to effetely promoting your WordPress powered membership website and getting more possible students to sign up for your course with our special guest Magnus Unemyr. Here another interview we have recently done with Andrew Michael of Hotjar which is an online service that allows you to see how people are using and navigating your website and give you precise data which can help with your marketing automation. Magnus is the author of “Data-Driven marketing with Artificial Intelligence,” available on Amazon. Maximize your marketing performance! Do you want to improve your internet marketing efficiency, and get more leads and customers from your website? With inbound content marketing, well-optimized sales funnels, marketing automation tools, and an integrated marketing concept, you can set up a system that generates more business automatically. My books, speeches, training courses, and consulting services can give you a business advantage. Jonathan: Welcome back folks to the WP-Tonic Show. It’s episode 341. We’ve got an exciting guest. It’s Magnus Unemyr. I’ve probably butchered his surname, but he said a lot of people have problems with it, so I don’t think he’s going to be too upset and we’re going to be talking about marketing automation and teeny weeny little bit about machine learning. So Magnus, would you like to introduce yourself to the listeners and viewers? Magnus: Absolutely. First of all, thank you for having me on the show. My name is Magnus Unemyr, which is notoriously difficult to pronounce in English apparently. I’m Swedish. I was born and live in Sweden and I have been working my entire life with international marketing in the software industry. Since about a year ago, I’m not an independent consultant, author and speaker in the area of Marketing Automation and how to use artificial intelligence in marketing and I’ve written a couple of books about those topics as well. Jonathan: All right. That’s great. And my great co-host, Cindy Nicholson, would you like to quickly introduce yourself? Cindy: Sure. Hi everyone. It’s Cindy Nicholson from TheCourseWhispherer.com where I help entrepreneurs that want to create online courses make really awesome courses for their students. Jonathan: And before we go into the interview, I just to mention something about one of our great sponsors and that’s WP Fusion. And what’s WP Fusion? It’s very linked to our discussion actually. In your technology stack, the two most important things are your WordPress website and your CRM because your CRM should run all your marketing automation for you. You should get all your tags and everything set up correctly and get really into the marketing of the 21st century. And how does WP Fusion help with this? Well, it enables your WordPress membership website, e-commerce site to communicate on steroids with your CRM. Now, if that really sounds interesting and it should for your clients or for yourself, go to the WP Fusion site and use this coupon code which is an exclusive offer only for the listeners and viewers of WP-Tonic, which is WPTONIC, all one word, uppercase and you will get 25 percent off any of the packages on the WP Fusion website and that is only exclusively if you utilize that coupon code and just read about their amazing product. It is truly amazing. So, into our discussion. I was wondering how to start this discussion really because there’s been so much recently published about marketing automation. So many clients have been asking me questions about it and I’ve been trying to do it myself, but I’m struggling. I’ve got to be truthful and I think a lot of clients are struggling. Can I ask you, first of all, why do you think people struggle so much and can you give any tips about getting started? Magnus: I think there is actually not enough educational material on marketing automation out there. There’s obviously marketing literature from the marketing automation software. In my mind, too many have passive websites. They focus a lot about the content and the styling of the website, making sure it has really nice graphics and stuff, but that is a passive website and by adding marketing automation technology to the website or rather behind the website, you can turn the passive website into an active marketing machinery that actively tries to harvest leads and actively nurture and follow-up with those leads, automating the sales process 24/7. There is a certain level of programming behind the scenes of what is going on here and that may scare some people off, but programming is not like writing code. It’s just drag and drop and creating email sequences that are triggered to be sent when certain people do certain things. So you define a set of trigger conditions that set off an action chain. For example, sending five emails over the next 5 weeks only to people who did a certain action on their website, for example. So I usually say that we’ve installed Tripwire on the website then people trigger these tripwires then some follow-up logic applied to that person automatically. So there is a certain of programming to it. It’s on a very high level and we don’t need to know or understand any coding whatsoever to do it. Cindy: Thank you, Magnus. It’s true because we all hear, but anyone who’s been in an online business or has online courses, they hear about this whole automation thing and there’s a rush to kind of get things automated to keep everybody’s life simpler. So where are people going wrong? Like when they go to automate things, where are they making mistakes and what are they struggling with? Magnus: I think there are a set of problems that people may bump into. Marketing automation is a software system or a software robot that delivers the right content to the right person at the right time. So using marketing automation software, they can deliver certain types of content at a context-specific time, let’s say and I think most companies starting to use marketing automation underestimate the amount of content that needs to be produced. So content marketing without marketing automation is not performing at its best. Marketing automation without content can do nothing and by combining content marketing or content with a marketing automation robot and we can turbocharge the effect and get much more out of it. And pretty much the website is the styling of your marketing and your marketing automation system provides the business value of the business results and by adding marketing automation we turn a passive website into an active marketing system. So underestimating the amount of content is certainly one problem I see many companies bumping into. Another mistake is probably to spam people with irrelevant stuff. If you have a software robot that can send a lot of emails automatically, it’s very easy to send, quite frankly, spammy stuff which is of no relevance. So the trick with marketing automation is not to set up one very long sequence of 52 emails being sent once every week for a full year, but rather install the tripwire on the website that sets off certain shorter email sequences that do specific content deliveries that relate specifically to whatever that person did on the website at that specific time and the more things someone does on the website, the more tripwire he trips on and he will be exposed to more and more content which is delivered at a very context-specific time and give the right information. So rather than having the same stuff going out to everyone, try to have parallel systems that send much shorter email sequences with highly targeted information to the people who just need that at that specific point in time. I also think that many people buy marketing automation software and just think that it is email automation or just sending Drip email sequences. They don’t really add the workflow logic that it can do. So you can have if-then-else logic to those action sequences. So for example, if I would automate a manually held webinar, then I would send a mail short to the segment of people who likely are interested in joining that webinar and that email would have a link to the sign-up page or the landing page where people can register. But then I would create a follow-up sequence in the marketing automation system that automatically does things with people who signed up to the webinar. By integration between the marketing automation system and the webinar platform, for example, you could then have the marketing automation system check which people out of those who actually registered to attend, did, in fact, attend the webinar. And dependent on whether or not someone actually did attend, then we can send different follow-up sequences to those who attend versus those who didn’t attend. So for those who attended, we can send an email sequence, for example, we have a soft sales message and for those who didn’t attend, we can send an email with the recording, for example. You can also automate webinars fully. So there are marketing automation systems or specialized tools that will fully automate webinars that send or publish pre-recorded videos, let’s say and if set up in the way that it actually looks like kind of a manually published webinar. So you have to sign up on a landing page. There is usually a countdown timer with a second display that counts down the seconds to create the urgency. Whenever someone comes to that landing page, they see that today at noon, for example, there’s a webinar and there’s urgency to join. If someone else goes to that landing page for the next day or later the same day, they see the same webinar being offered, but a different time, that is perhaps 2 hours into the future. And likewise, with the fully automated webinars, we can send different follow-up email sequences to people depending on whether or not they, in fact, did attend. We can also check whether or not someone opened a specific email and respond differently. We can adjust the following email dependent on whether or not someone opened the first email or not. If we install a video clip on the website, I can send follow-up sequences to people who watched about 25 seconds and those who watched the movie 3 times and at least 1 minute, then we can do something differently. Jonathan: I think you’ve just thrown an enormous amount of information, fantastic information. It’s obvious that you’re a total expert in this area. I think what you’ve done is, my response, I was just, the information was fantastic, but I think it was a little of symbolism there because it slightly felt a little bit overwhelming as well. I think we’re going to have to break it, I don’t know what Cindy feels. I think maybe we got to the key of the problem. Is there any kind of little baby steps, little things that people, you think will get the biggest return if they set up something in utilizing marketing automation? Are there any kind of little, I’m looking for the right wording here Cindy, not baby steps. Cindy: I think baby steps is a good word for it because essentially what you’re saying Magnus is that the opportunity for automation is more than just automatically sending out emails. There’s just so much more that you can do from a business building perspective than just, “Oh, taking the load off my shoulders and having to send out a bunch of emails.” I guess, maybe Jonathan, it’s just like what is kind of the first step beyond just setting up the automation. Jonathan: Yes. I don’t know if you agree with this Cindy. I don’t know. Have you worked with any kind of people that have got kind of a course and you’ve helped them set up some initial automation? Magnus: I think from my point of view if you want it to be bare minimum, then you should make sure not to have a website that doesn’t really ask for the contact details. So what you want on the website is to make sure that you have least one lead magnet. So perhaps a PDF file that you’re offering that has a perceived and hopefully, a real value to the website visitors and you offer that for free in return for their email address. So basically, what you do is that you install a call to action button, so a red or a green or a yellow button on the website that says, “Take care to download this free PDF which is valuable,” in shorter words obviously. By clicking that red button, people are driven to a landing page where they have a registration form there ready to register their contact details to get that free download. And that is the traditional way of harvesting leads from a website, i.e., converting anonymous visitors into identified people and by asking for the email address and giving them something to download for free in return, you have kind of a business transaction where we got the email address and they got something valuable. Then onwards, we can start to send some nurturing emails. And if you don’t have that basic step of offering a lead magnet and collecting or harvesting emails using a lead magnet as an incentive, then you can’t really do anything else. You need to get the email addresses of your anonymous visitors on the website to do any further follow-up pretty much. Jonathan: All right. What do you think Cindy? Cindy: Yeah. What is the best way then to kind of segment your audience, right? Because that’s kind of the next step. Once you’ve kind of captured these email addresses, you want to kind of segment them according to what kind of things they might be interested in. What are some of the ways that you can identify the segment that you would put these? Magnus: There are pretty much two or three ways to do that. One way, which is probably the easiest is just to ask them and how would you ask people what segment we should put them into or what package we should put them into? We do that by adding one more question to the registration form. So if the registration form normally asks for the first name and email address, then we add a third field that, for example, includes a drop-down list with three pre-defined answers. We could ask for, “Which kind of courses are you interested in? Windsurfing courses, Kayaking courses or Running courses,” for example. And then just by having them answer a simple question in the form, we can collect important segmentation information and we know which package to put that person into and that could then affect which type of emails to send onwards. So that is the most direct way, just ask them. The second way is that we can monitor their behaviors on the website. So the marketing automation system hooks into the website and records the digital footprint of the visitors and so we can see that, for example, a specific person is often or has been to the Windsurfing pages on the website, but not on the Running or Jogging pages. Then, we can probably or indirectly conclude that this person is more interested in Windsurfing stuff rather than Jogging stuff. You can also conclude that from other indirect means. 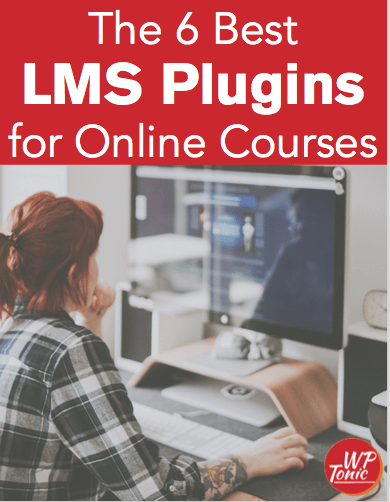 For example, if you offer three lead magnets for free downloads, you offer three different types of PDFs that we promote and ask people to download for free in return for their registration information. Then, by looking at what PDF a certain person has downloaded, we can conclude that if someone downloaded a Windsurfing related PDF, then we can conclude that this is probably a Windsurfing guy and then put him in that package. Someone else downloaded a Jogging related PDF and we put her in with Jogging package. So those are a couple of ways that we can do that. Jonathan: Oh, that’s great. We’re going to go for our break folks. We’ll be delving even deeper into this world of automated marketing. We’ll be back soon folks. Jonathan: We’re coming back. Magnus has blown me away. I don’t know about Cindy. My mind’s racing now. I’ve got all sorts of ideas by this conversation. Got another question, Cindy? Cindy: A lot of people have heard about automation. Where do you think the next step is going to be in terms of, where do you see this automation going? Magnus: So, currently, we have manually configured marketing automation. I think the next step is AI driven or machine learning driven marketing automation, whereby we have to do less work ourselves and the AI software learns and adapts automatically over time. So we can take one or two examples of how that could be done in practice. So in marketing automation, there is a concept called lead scoring. We can design a simple algorithm to guesstimate how interested someone is to buy soon. We do that adding a credit score to each activity. So if someone visits one page on the website, that gives plus 1. If they download a PDF, that gives plus 3. If they watch a webinar, that gives plus 5 and then we put a summary on all the activities and the more activities that person does, the higher the score and by comparing the score of different people, we can kind of guesstimate how interested someone is really versus someone else based on their digital footprint, let’s say. But we have to create that algorithm manually and add the scores for the different activities on our own and there is a risk that our guess as to how to design that algorithm is not correct. And for example, we can now use machine learning to do something called predictive lead scoring. Artificial intelligence is being used and we compare the digital footprint or the online behavior of a new lead to the online behavior of our customers before they became customers. So based on the similarity of the behavior of the new leads compared to the actual customers before they became customers, you can get a predictive lead score which is usually calculated 0 to 100 percent that estimates how close someone is to buy and we can then connect the lead score and have that to trigger marketing automation logic and have that send off different emails. So whoever is 25 percent purchase ready, we send them three emails with a soft sales message. But when that person does some more things over the next few months and eventually come over 50 percent ready to buy, then we can send her a sequence of harder sales message emails to them. If someone does a bit more and becomes 75 percent sales ready, then we don’t send them an email anymore, but we actually have the marketing automation system create a to do task in the calendar of the sales in the CRM system such that that sales actually have to do a manual sales call. So that is one way of using artificial intelligence. Another way which is very easy to understand is email marketing. So today, if you use MailChimp or ActiveCampaign for your email marketing, you typically send all the 10 files or 100 files in the emails at the same time. But with machine learning, the email marketing software could actually adapt the send time for each individual person. So instead of sending 100,000 emails at the same time, you send one email at 100,000 different times to optimize the open rate of emails because someone likely wants to have the email at 10 o’clock in the morning to open it most likely whereas someone else wants it at 3 pm. Cindy: And is that available now or is that coming? Cindy: It’s available now that you can do this? Jonathan: So you say available. I don’t think some of the leading automated marketing platforms like ActiveCampaign, which is the one I actually use, or Drip or any of the more non-corporate aimed ones are doing it. Am I correct or is it just in the corporate field that they’re utilizing this? Magnus: In terms of AI-based marketing automation, so far most of the interesting AI stuff is done by independent startup companies. 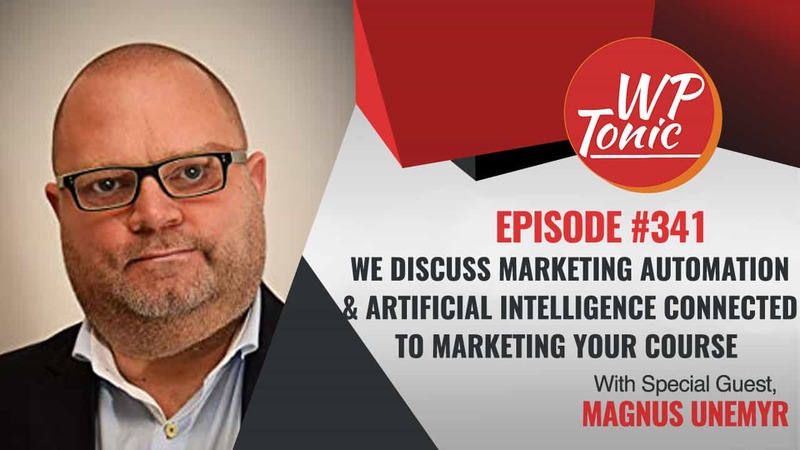 Magnus: So there are hundreds of marketing automation solutions out there that uses AI, but they are usually not the main big marketing automation system like ActiveCampaign or HubSpot or something like that, but rather specialized tools that only do one specific thing. Jonathan: I’m notorious for slightly going off topic, but I just can’t resist myself because you’re such an expert in this area. You use AI, but I tend to prefer to use the wording machine learning. Magnus: Which is more correct in fact. Jonathan: I might be incorrect here, but I think there’s a kind of baggage around artificial intelligence because people start thinking that we’re talking about a machine that has kind of almost human consciousness levels and I think we’re very far from that. So I prefer to use the term machine learning. What do you think? Magnus: I think you’re correct. To be honest, I don’t think there is any clear definition of what AI really is. We do not have strong AIs. We do not have machines that take over the world and can reason on their own or have feelings and stuff. We only have narrow AI that does more specific tasks which perhaps is a good thing. But I think AI is more of an umbrella term, but collects a different set of specialized technologies. So I usually explain it with three layers of technologies. So the first layer is kind of big data where we can find almost invisible patterns and correlations in historical data. For example, using big data, we can detect that a certain type of credit card transactions have been fraudulent in the past. The next level up would be something called predictive analytics where we can design algorithms that can detect such circumstances in future unknown data. That pretty much means that in an ATM machine, we can detect that a currently ongoing credit card transaction likely is fraudulent or not. The problem is that if the prediction algorithm learns that credit card transactions from Country A tends to be fraudulent, but that changes over time and later on, in fact, credit card transactions from Country B is more likely to be fraudulent, then the prediction algorithm wouldn’t pick up that change and so it would increasingly make worse and worse predictions. So if we add the feedback loop to the prediction algorithm, we get machine learning and machine learning are algorithms that can predict the future based on historical data, but it keeps learning all the time as more data becomes available. Jonathan: I think what you’re saying there is that computers can do very specific things in very ordered patterns, but when there was any variable, they tended to break down. By what you’ve just described, you give normally a very unadaptive process, the ability to adapt to some degree. Would that be correct? Magnus: So with machine learning, we get algorithms that can optimize themselves as they are exposed to more data. So the more data they get over time, they can optimize their own behavior and become better and better at doing predictions that are more and more accurate and making predictions that follow lead changes in the external world as well. Jonathan: Let’s get back on subject. Cindy: Okay. I’ll pull you guys back in. So let’s go back to automation because this is something that a lot of our listeners like to talk about and maybe you can tell us the process that you use, but how does a small business owner decide what the best automation structure should look like? What process do you use to decide with your clients, like what that automation system should look like? Magnus: Yeah. I think we have this term where we usually say that or we ask how long is the string. The string can be as long as you need it to be dependent on how much money you have. I think he should start small. The 80/20 rule, the Pareto rule applies. Take the low hanging fruit initially. Make sure to collect leads from the website by offering a free lead magnet, a PDF download usually in return for the visitors submitting their contact information in a form and start to send them some nurturing emails at least and then we can add more stuff as time passes. But we shouldn’t underestimate the need for content. You probably need to blog, unless you have a set of blog articles that are educational on certain topics, then we don’t really have a lot to say in the emails. We shouldn’t really send a lot of sales emails just promoting the products and offering discounts and stuff, but we should make sure that at least 80 percent of the emails to send are truly educational, informative or inspirational and not salesy and the best way of doing that is to send a short email that explains why something is important and what it is and then link to a blog post that explains how it is done. So basically, the email to send automatically is the teaser that drives traffic to the website or the blog. The visitor or the lead is exposed to more educational content. So we tease them to come back to the blog by sending them emails. We tease them with interesting topics by clicking a link in the email to drive traffic back to the website and the blog article or the blog post should then have call to action buttons or banner ads that promote more free lead magnets, more incentives to download more PDFs so we can give them more educational content to consume thereby building our own authority and building the trust over time. So basically, I try to build a machinery. I try to get leads to consume as much educational content as possible using emails, for example, to drive traffic to the blog posts. The blog posts promote PDF downloads. Those PDFs promote webinars, etcetera, etcetera. Jonathan: Oh, that’s great. I think we’re going to come to the end of our podcast part of the show. Magnus has been generous to say he’ll stay on for a little while which you’ll be able to see on the WP-Tonic website and YouTube channel. Magnus, how can people find out more about what you’ve discussed? I’ve just been blown away by your knowledge really. How can they find out more about you and what you’re up to? Magnus: So, my website, obviously, unemyr.com and then I have a blog, so unemyr.com/blog. There is also a free book on marketing automation that the listeners to this podcast can download for free. It’s available on unemyr.com/subscribe. It’s a 240-page book in PDF format on marketing automation. Jonathan: Oh, that’s great. Cindy, how can people find out more about you and what you’re up to Cindy? Cindy: Yeah. So if you’re in the midst of creating a course and you need a little help to level it up, you can reach me at TheCourseWhisperer.com. Jonathan: That’s great. And hopefully, well, we will have another expert similar to Magnus that will give you insights and help you build an online course or membership site and get this success that you’re looking for. We’ll see you next week folks. Bye.